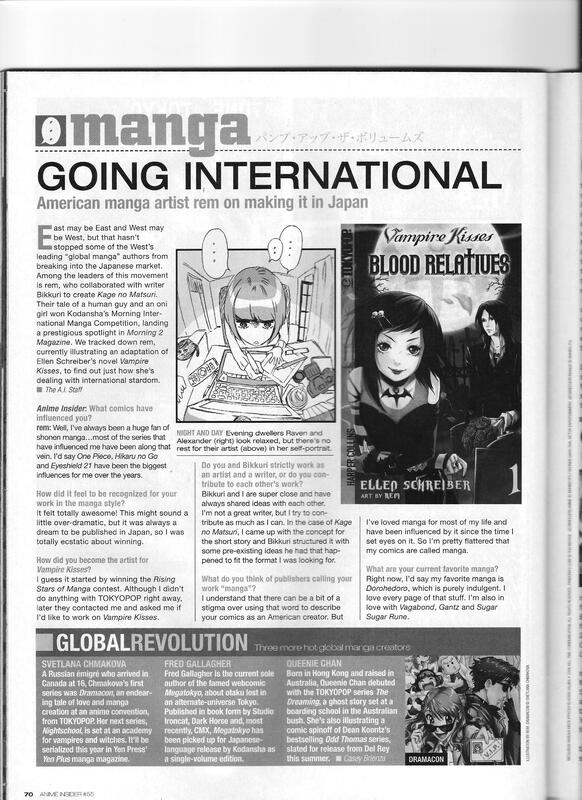 American-born mangaka rem talks about her influences and experiences, including having co-wrote and illustrated Kage no Matsuri with writer Bikkuri for the Morning 2 mag. This entry was posted in Old Magazine Articles and tagged Bikkuri, Borderline Plagarism for the Freedom of Information, Kage no Matsuri, Manga, rem by torisunanohokori. Bookmark the permalink.